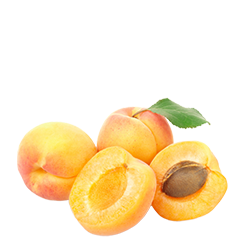 The volume of apricots that Sulce Fruits handles annually, reaches 300 tons, grown in Pella and Chalkidiki. Apricots are harvested and transported for packaging where they are separated by size and packed according to the requirements of each recipient. The placing on the market is immediate. The harvest begins, middle of May and ends the last days of June.